Thanks to TeaParty.org for this photo (slightly modified). 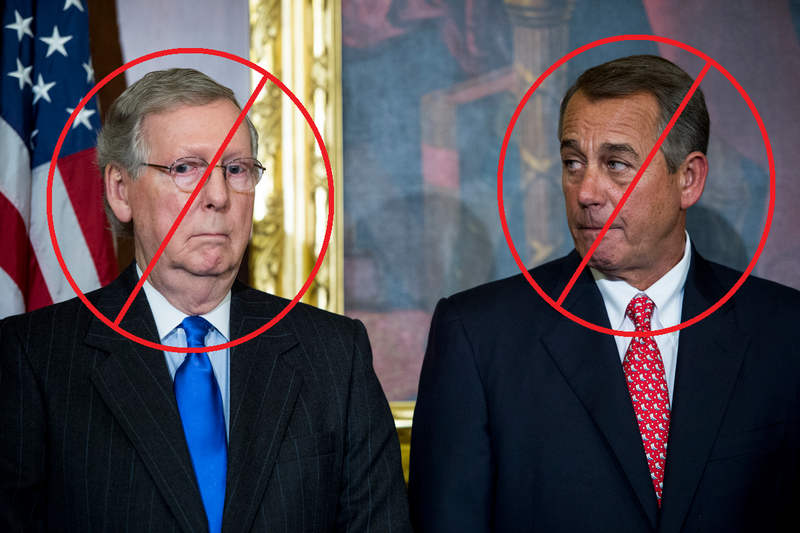 As reported by the Gateway Pundit on 23 July 2015, the Washington Examiner on 23 July 2015, Mark Levin, & Breitbart, 9 of 10 conservatives want Boehner out. As told by Politico and the PJ Tattler, it seems that McConnell is having trouble forcing some Republicans to follow him down Democrat Policy Row by forcing a vote on Planned Parenthood.